The U.S. mogul is buying out shareholders of the London soccer club, with the help of a $721 mln Deutsche Bank loan. By borrowing the funds himself, Kroenke avoids burdening the underperforming team’s finances. But once he has control, he may still leverage it up to pay dividends. 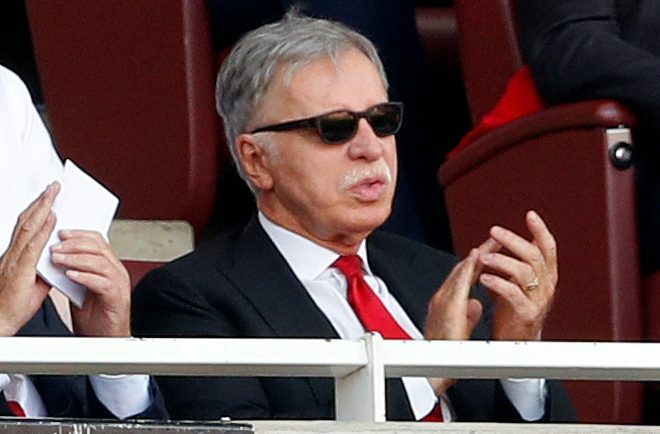 American billionaire Stan Kroenke will buy out Arsenal shareholders in a deal that values the London soccer club’s equity at 1.8 billion pounds, according to an Aug. 7 statement. Kroenke will use a 557 million pound loan from Deutsche Bank to help buy the third of Arsenal Holdings he doesn’t already own through acquisition vehicle KSE UK, including the 30 percent stake held by minority investor Alisher Usmanov. The Arsenal Supporters' Trust and one independent shareholder condemned the move, saying it would allow Kroenke to run the business with no oversight and to add debt to the balance sheet. Kroenke said on Tuesday he had received an irrevocable undertaking from Usmanov to sell his stake.